One of Christ’s most popular forms of instruction was the “parable” — a true-to-life story designed to illustrate important spiritual concepts. Perhaps the two most recognizable of these twenty-nine deposits of New Testament instruction are the parables of the Prodigal Son, and the Good Samaritan. 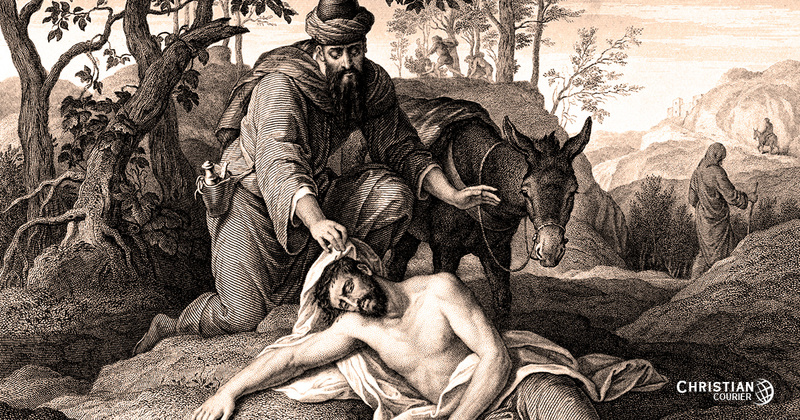 In this piece, we will reflect upon the Samaritan narrative (Lk. 10:25-37). The background begins with an episode in those days when the Lord had begun to make his way toward Jerusalem and his destiny with Calvary (cf. Lk. 9:51). During one of the Savior’s sessions with the seventy-two disciples who had been on a teaching mission, a “lawyer,” who obviously had been listening (cf. Lk. 10:23), stood up and “made trial” of him (Lk. 10:25). The lawyer was not a specialist in civil law, as we would think of a lawyer, but he was knowledgeable in Hebrew law, frequently designated as a “scribe,” i.e., one who copied the Old Testament manuscripts (cf. Mt. 22:35; Mk. 12:28). He thus was a scholar of Jewish literature. The expression “make trial” might or might not denote a malevolent disposition (cf. Mt. 22:35; Mk. 12:34). However, verse 29 does not cast the lawyer in the most favorable light. Nonetheless, he asked the question. “Teacher, what shall I do to inherit eternal life?” (Lk. 10:25). The inquiry itself reveals that the gentleman had some insight into the matter of salvation. Perhaps he employed “teacher” merely as a term of respect. On the other hand, he may have acknowledged the Lord’s ability as an instructor of sacred information. He realized there is something to be “done” in obtaining salvation. He understood that “life” is associated with an “inheritance,” which involves a Father-child relationship. And he embraced the proposition that “life” (i.e., union with God) results in an eternal relationship. He was far more informed than numerous clerics today. “What is written in the law? How do you read it?” (Lk. 10:26). There are two very important points here. First, Jesus clearly indicated that eternal life is connected with “what is written.” The Son of God placed great value upon the testimony and authority of the Scriptures. Second, he asserted there is a correct way to read (or interpret) the sacred word. There are proper procedures for interpreting the Bible. This is the science of sacred hermeneutics. Thousands can quote passages they have memorized, who haven’t the remotest idea of how to rightly handle scripture (2 Tim. 2:15; cf. 2 Cor. 4:2). The lawyer correctly responded. One must love God as his Lord, and with his heart (passionately), soul (with vigor of life), strength (sincere exertion), and mind (intellectual engagement) (Lk. 10:27). This summarizes one’s vertical responsibility to his Creator (cf. Eccl. 12:13). Additionally, one must love his neighbor as himself. This suggests a horizontal obligation — the love of all creatures made in the image of God (cf. Gen. 9:6). Further, there is the implied affirmation that there is a proper form of “self-love,” i.e., a recognition that one is the offspring of God and is, therefore, to be valued and cared for in that light, with a view towards eternity. In the Greek New Testament there is an interesting contrast between the verb “do” of verse 25, in the lawyer’s question, and the term “do” in Christ’s answer (Lk. 10:28). The first “do” is in the Greek aorist form, which suggests a solitary act of obedience by which eternal life could be secured. Thus one would be finished with his religious obligation. The second form of the verb is in the present tense, which indicates that obedience must be sustained, i.e., “practiced” as a way of life! (Plummer, 284-285). This certainly negates the theory that once one has “believed,” he then has “life” eternally and never can lose it. The following verse throws a floodlight on the lawyer’s level of spirituality. “Desiring to justify himself,” he asked, “And who is my neighbor?” (Lk. 10:29). This was not a genuine solicitation for spiritual information! It did, however, provide an opportunity for the Master Teacher to introduce a parable which would allow the lawyer to scrutinize his own attitude (if honest enough to do so), and perhaps come to a better understanding of his Creator’s expectation of proper social attitudes. One must remember that one purpose behind Jesus’ parables was to solicit agreement to certain truths before the student recognized its application to himself (cf. Mt. 21:33-46). To the Jews, neither Gentiles nor Samaritans would be viewed as a “neighbor.” The Pharisees even disdained those Hebrews not of their sect. The term neighbor embraced a very narrow circle with many in those days. The scene of the story is set along that rugged and dangerous road that connected Jerusalem and Jericho. The distance is some seventeen miles, and the descent from the Mt. of Olives to the priestly community of Jericho was near 4,000 feet (figures vary with different writers). Under ideal conditions it would take some six hours to traverse the distance between the cities; longer if rest stops were engaged. The travel in this area was so perilous that citizens were advised not to make the trip alone. J.W. McGarvey and companions traveled this road by horseback in 1879, and he noted that along this precipitous trail there were several areas where robbers might hide, assault unwary victims, and make a ready escape (468). In the Lord’s illustration a Hebrew man was making his way down this road when he was set upon by robbers. The word suggests one who not only is a thief but a scoundrel who is willing to do bodily harm. The villains stripped the unfortunate man, beat him, and left him half-dead. From subsequent information we learn that he had multiple wounds that would require tending, with several weeks of recuperation. As the Hebrew victim lay by the road in his dire condition, a Jewish priest came that way, going down to Jericho. It is important to note the direction of his travel. Some liberal writers have attempted to excuse his lack of compassion under the guise he was headed to Jerusalem for priestly duties, hence was justified in not being delayed by this sensitive situation. This criticism actually is directed toward Jesus! The downward reference (i.e., away from Jerusalem) dissolves that quibble! The priest was a descendant of Aaron. As a priest he was a teacher of the law, he performed certain cleansing rituals, and he presided over some legal matters (Lev. 10:10-11; Lev. 13-15; Num. 5:11-21). This man should have been a model of true spirituality. Yet when he saw the unfortunate victim, he passed by on the other side of the road and hurried away. Presently a Levite came upon the same bloody scene. Originally Levites were distinguished from priests (Num. 16:1-33). They were a subsidiary class, serving under the priests doing various tasks, e.g., caring for the transportation and setup of the tabernacle (cf. Numbers 4) in the pre-temple period. Again, as with priests, Levites should have been a pristine examples of benevolence. But this one was not! He likewise “passed by on the other side.” Both men were so consumed with duties of ceremony — perhaps gripped with fear — that they took no measure of the worth of a fellow human created in the image of God (cf. Hos. 6:6; Mt. 12:9-13). Strangely, the hero of the narrative is a Samaritan. The identity of the Samaritans is a matter of some dispute. Some allege they were pagan Gentiles, brought into the land after the Assyrian invasions of the northern kingdom of Israel in the 8th century B.C. Others suggest they were renegade Israelites, a remnant left in Palestine after the Assyrian and Babylonian deportations. These are not the most likely identifications, however, since Samaritans are distinguished from both the “house of Israel” and Gentiles in the Lord’s limited commission (Mt. 10:5-6). The probable explanation is that they were a mongrel group — a hybrid mixture of Jews and Gentiles that developed in the post-captivity periods of Old Testament history. One is scarcely prepared to appreciate this parable, however, without some sense of the rancor between these peoples. The hostility between Jews and Samaritans is amply illustrated by various events in the ministry of Christ. When Jesus engaged a sinful Samaritan woman in conversation because he valued her soul, John comments that normally, “Jews have no dealings with Samaritans” (Jn. 4:9). Christ subsequently spent two days with these people, and many came to believe in him (Jn. 4:39-42). Jewish leaders, hurling an insult toward the Son of God, charged: “You are a Samaritan” (Jn. 8:48). As the Lord made his way toward his redemptive destiny in Jerusalem, he entered a Samaritan community where some lodging accommodation was sought. But his need was refused (Lk. 9:53). The inclination of James and John to call down fire from heaven to consume these people likewise reflected a long-standing disposition. A rabbinic saying was: “May I never set eyes on a Samaritan” (Edersheim, 1.401). Josephus mentions that on one occasion during Herod’s administration, when the Jews were celebrating Passover, some Samaritans slipped into the city and at midnight scattered dead human remains in the precincts of the Temple, thus defiling it (Antiquities, 18.2.2). The role of the neighborly Samaritan as the hero in this parable is, therefore, truly remarkable and is a commentary on the uniqueness of Jesus’ teaching. The disposition and subsequent action of this charitable Samaritan is thought provoking. When this benevolent soul came upon the bloodied victim, he was “moved with compassion” (Lk. 10:33). The Greek term behind this expression is interesting. The original word denoted one’s visceral organs (entrails). Just as we might speak of a “heartache” in expressing emotional anguish, the ancients would describe emotional trauma as “moved in the depths of my entrails” (Spicq, 3.273ff). The term is used of the Savior’s feelings for various unfortunate souls that he encountered (Mt. 9:36; 15:32; 20:34), and it reflects the loving compassion that God has for the lost (Mt. 18:27; Lk. 15:20). Thus in this context the word suggests that the Samaritan was seized with a surge of pain for this wretched soul who lay there half-dead. He was a sensitive person. Five verbs in Luke 10:34 describe the action the Samaritan took in caring for the severely injured Jew. The recording of these words must have been meaningful to Luke, the “beloved physician” (Col. 4:14). He “bound up,” i.e., bandaged the man’s “wounds” (note the plural), “pouring on” (the present tense pictures the flow) oil and wine. Olive oil (most likely) would mollify the wound (cf. Is. 1:6) and wine (in which fermentation had occurred) would serve as an antiseptic. Frequently the two were mixed for medication purposes (Plummer, 288). Hippocrates, the “father of medicine,” gave this prescription: “Bind with soft wool, and sprinkle with wine and oil” (Robertson, 2.153). How wonderfully precise the biblical record is. He “set” the injured man on his own animal. The word “beast” is generic and suggests a domesticated animal used either for packing merchandise or for riding (cf. Acts 23:24). Probably the latter in this case. Presently, the gracious stranger “brought” the wounded Hebrew to an inn. The Greek term for inn means “all receiving.” Traditionally these were spacious two-story, quadrangular buildings with an enclosed courtyard (containing a well in the center) and a strong gate for keeping robbers outside. Guests would stay upstairs or down with animals lodged in stalls off the courtyard. Food and supplies might be sold. The ancient ruins of two such accommodations on the Jericho road were described by Vincent (182). A mountain pass on this road even today is called the “Ascent of Blood” as a result of the violent robberies that have occurred there. The area is guarded even in modern times (Baez-Camargo, 221). At the inn the gracious Samaritan “took care of” the dangerously wounded Jew. The Greek term is a tender one, “used especially for the care and devotion shown by parents and nurses to children” (Spicq, 2.50). He apparently watched over him all through the night, for he resumes his journey early the next day (so the original suggests). Before he departs, he takes two denarri from his money bag to pay for further lodging (Lk. 10:35). This was the equivalent of two days wages for a working man (cf. Mt. 20:2). The modern reader may figure what two days wages would be today for him or her. The cost of a room in those times was approximately 1/12 of one denarius (Jeremias, 1950). Thus, the Samaritan provided for slightly more than three weeks lodging. In a moderately priced room today that would be the equivalent of over $1,500. The generosity of the parable’s unnamed Samaritan is staggering. Beyond this there is the curious charge from the Samaritan to the inn-keeper. How did the Samaritan know he could trust the inn-keeper with the funds left with him? How would the inn-keeper be confident that, if the subsequent charges went beyond the two denarri, the Samaritan would make good on his pledge? Did the two know one another from past associations? Or was the inn-keeper so impressed with the compassion and care of this man who was known to be a natural enemy of his Hebrew victim, that he himself was “moved with compassion” to accommodate the request? These are thrilling possibilities that excite one’s imagination! Scholars who have made a special study of the matter have noted how skilled the Lord Jesus was in guiding people to truth by the use of “leading” questions. One writer has cataloged 225 different questions the Savior employed during his ministry (Zuck, 235-276). Others feel there were even more. The narrative under consideration in this study provides an excellent example of the Lord’s skillful use of this method of instruction. Let us briefly remind ourselves how this exchange was begun. In some fashion or another, a lawyer (a Hebrew expert in religious law) “stood up, and made trial” of Christ (Lk. 10:25). “Which of the three [priest, Levite, or Samaritan] proved [do you recognize as] neighbor [one who is kind, helpful, etc.] to the victim of the robbery?” (Lk. 10:36). The question was a multiple choice test, and the answer was not difficult! Robertson says he gulped at saying the word, “Samaritan,” preferring the more distant, generic expression, “he who”! Even so, he at least drew a logical conclusion and expressed it. “You go, and do likewise” (Lk. 10:37). There are a couple of important points remaining. There is emphasis on the pronoun “you.” This is no abstract recommendation. It is a personal charge. Both verbs, “go” and “do” are present imperative forms. They are commands that require consistent action. If we may have the license to paraphrase: “You get going and start practicing this—as a lifelong duty!” (cf. Geldenhuys, 314). There is one final point I would like to make. T. B. Larimore (1843-1929) was one of the eloquent preachers of the second generation American “restoration” preachers. In 1949, B. C. Goodpasture, then editor of the Gospel Advocate, published a volume titled, Letters and Sermons of T. B. Larimore. One of the marvelous sermons in this book was titled, “The Iron, the Silver, and the Golden Rule.” In his lesson, Larimore used the parable of the Good Samaritan to illustrate three “rules” of societal activity that prevail in human relationships. The Iron Rule is the philosophy that “might makes right.” This was the practice of the robbers. Take from others whatever you please! (cf. Hab. 1:11b). The Silver Rule essentially is this: “do no harm to others, but look out primarily for your own interests. The plight of others cannot be of concern.” This was the practice of the priest and Levite. The Golden Rule was simply this: “Treat others as you would like to be treated” (cf. Mt. 7:12). This was the Samaritan’s disposition. He put a wounded natural adversary above his own safety and his financial interest. This parable has echoed its compassion and responsibility for the past twenty centuries. It has thrilled us and challenged us. We are humbly thankful to our Lord Jesus Christ for his life-changing instruction. There has been none to rival him! What Is a Publican in the New Testament? Baez-Camargo, Gonzalo. 1984. Archaeological Commentary on the Bible. Garden City, NY: Doubleday. Geldenhuys, Norval. 1956. Commentary on the Gospel of Luke. Grand Rapids: Eerdmans. Jeremias, Joachim. 1954. The Parables of Jesus. New York: Charles Scribner’s Sons. Josephus. 1957. Life & Works of Flavius Josephus. Philadelphia: John C. Winston Co.
McGarvey, J. W. 1881. Lands of the Bible. Philadelphia: Lippincott & Co.
Plummer, Alfred. 1908. The Gospel According to Luke. Edinburgh: T. & T. Clark. Spicq, Ceslas. 1994. Theological Lexicon of the New Testament. Peabody, MA: Hendrickson. Vincent, M. R. 1972. Word Studies in the New Testament. Wilmington, DE: Associated Publishers. Zuck, Roy. 1995. Teaching As Jesus Taught. Grand Rapids: Baker.